If the shoe fits, wear it… but only if it fits! Although a lot of shoe options can look very appealing, shoes are a perfect example of when both form and function should be carefully considered. 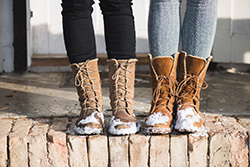 Improper shoe fit can lead to a variety of foot health problems, including hammertoe. Hammertoe is a contracture of the second, third or fourth toes’ proximal interphalangeal joint. In other words, the muscles and ligaments associated with the middle toe joint shorten and stiffen, causing the toe to bend in a “V” or hammer shape. In early stages, the joint remains flexible and can be straightened manually. As the condition progresses, rigidity prevents even manual straightening of the toe. Hammertoe can be very painful. Sometimes, the pain is caused primarily by the deformity having caused increased contact of the toe with the inside of the shoe. This can lead to the formation of calluses on the toe or toes, which are the first signs some patients notice in the development of hammertoe. There may also be some swelling in the affected joint, which can further exacerbate the pain associated with this condition. The most common cause of hammertoe is ill-fitting shoes. Whether by choice or by accident, wearing shoes with too little room in the toe box prevents the toes from lying straight during wear. As a result, the toe joints are compressed which can lead to hammertoe and other deformities of the toe joints. The toe joints can also be affected by other systemic and chronic conditions that involve the nerves and joints such as arthritis and diabetes. They can also develop as a result of acute injuries to the foot or secondary to spinal cord injuries. The best protection against the development of a hammertoe deformity is to always select shoes with sufficient room in the toe box. The toes should be able to lie straight in the shoe during both walking and standing. Particular attention should be paid to the lie of the toes during selection of high-heels as these tend to force the toes against the front of the shoes. Children’s shoes should also be regularly assessed for fit in order to prevent the use of out-grown shoes that may cramp and deform the toe joints. Once hammer toe has developed, the severity of the deformity will determine which treatment options are available. 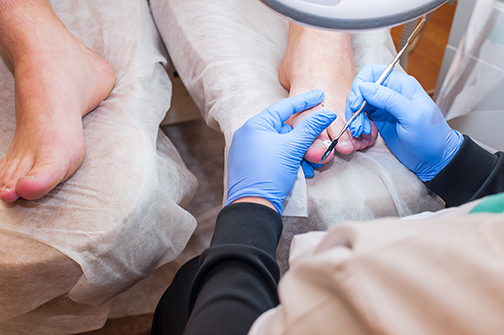 Non-surgical treatment is available for flexible deformities and involves the use of physical therapy to regain full range of motion of the involved toes. Surgical treatment is generally required for rigid deformities. These are performed as outpatient procedures during which ligaments may be re-aligned with or without fusion of adjacent joints. While intended to be informational, this article cannot take the place of professional medical advice. If you are concerned about hammertoe or other foot-related health problems, please contact a qualified medical professional near you. Consider choosing American Foot and Leg Specialists for your foot and leg healthcare needs. The team of podiatrists at American Foot and Leg Specialists includes seven physicians who specialize in providing a full-range of services for foot, ankle and leg conditions. They serve patients from throughout the South Atlanta Metro area including Fulton County, Cobb County, Douglas County, Fayette County, Henry County, and Clayton County. 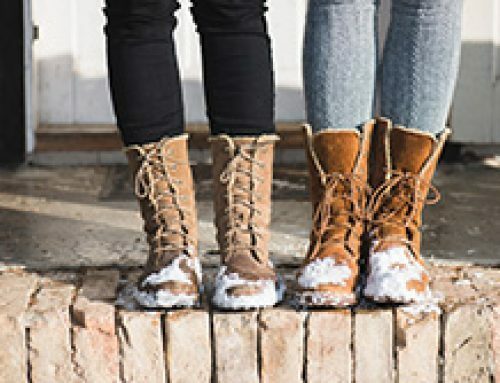 The four American Foot and Leg Specialists locations in Fayetteville, Forest Park, Locust Grove, and Stockbridge are open Monday through Friday from 8:00 AM to 5:00 PM. © 2017 American Foot and Leg Specialists. All rights reserved.